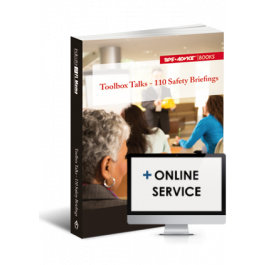 This book helps you organise basic health and safety training at minimal cost. Safe and reliable, it ensures you've ticked all the legal boxes whilst taking care of workplace safety. We've done all the hard work for you and put together a series of 110 briefings covering everything from working at height to manual handling. As long as staff can gather around the presenter and hear clearly, you can hold the briefing anywhere you like. Each briefing takes only 15 minutes and can easily be given by a non-expert. Use this book to train staff in an effective, inexpensive way. Preventing falls through roof lights etc.